How much wood would a woodchuck chuck if a woodchuck could chuck wood? Find out the answer to that and dig into lots of other information about the groundhog, this week on the Varmints! podcast. We’d like to say hi to Anna in Central Africa. Thanks for listening and we have put genets and civets on our list! And, we want to appreciate our listener Lydia and her Understanding Blue watercolor tutorials! Check her stuff out, it’s really cool! Thanks for listening! Groundhogs really “dig” making elaborate burrows. Check out this neat article about them, courtesy of PennState Extension. In groundhog burrows, every room is the den. Taking care of groundhog teefers is a grind! Read about it here courtesy of Delta Dental! You can’t handle the toof! 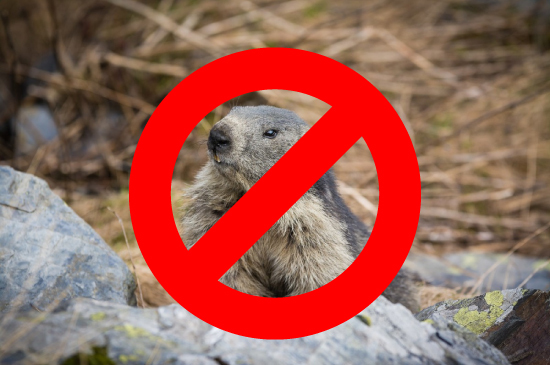 So, how much wood would a woodchuck chuck, anyway? Wikipedia has the answer! I want to hog ground, not chuck wood. Hmph. 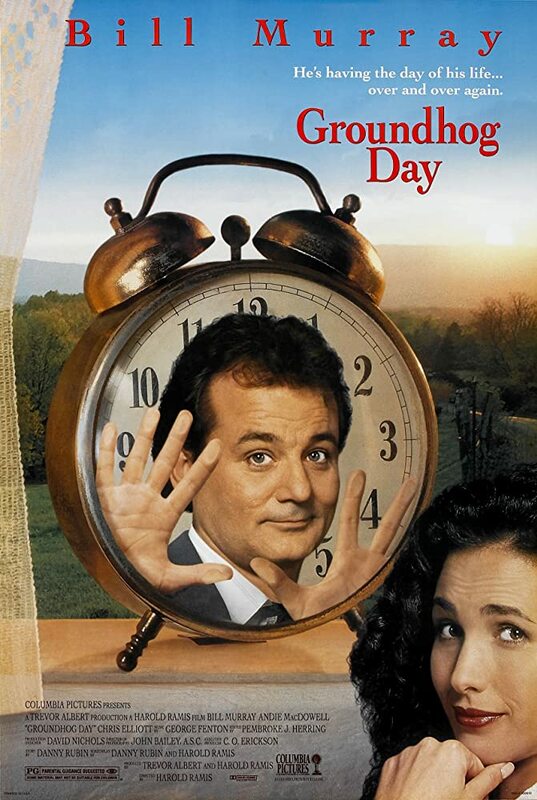 Groundhog Day, starring Bill Murray, Andie MacDowell, and Chris Elliott, directed by Harold Ramis. Courtesy of IMDB.com. Be a good guy and get out of the time loop! The Woodchuck Song, 1904, courtesy of YouTube user 78rpm gramophone records and cylinders. There ain’t no reason why he should! 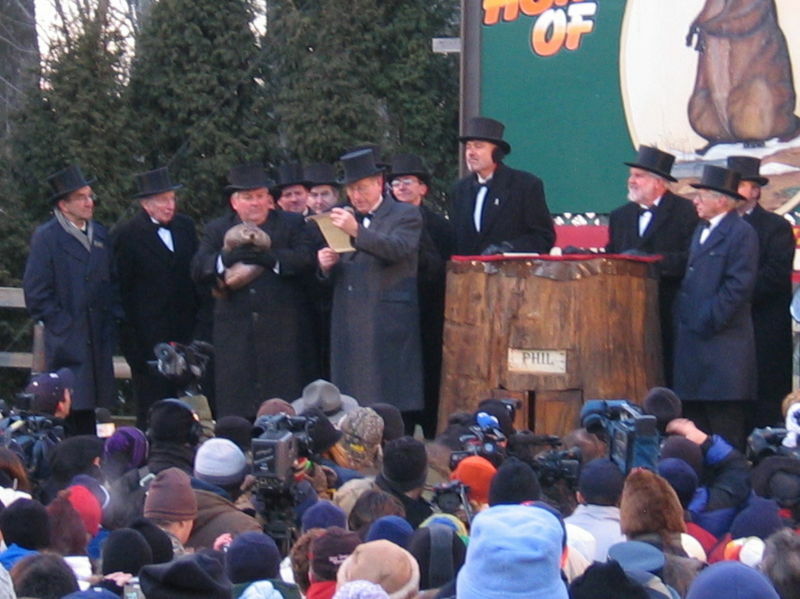 The Curious History of Groundhog Day, article courtesy of the New World Encyclopedia. Punksatawney Phil’s powers of weather prediction may be a coincidence, but the fact he is so adorbz is an indisputable fact! Dawwww! Do groundhogs make good pets? Probably not. Read about it at petcaretips.com. I’m not a pet, I’m wild animal, dig it? 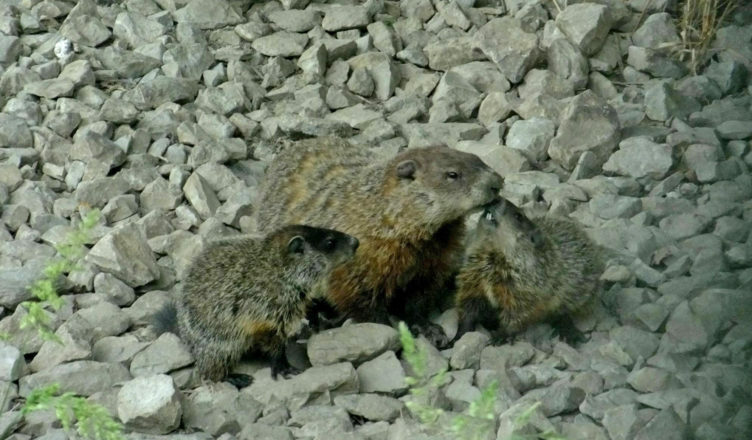 Now you know a little more about groundhogs than you did this morning! What do you think of them? We want to hear from you! Send us your suggestions for animals you’d like to hear us talk about, or just drop us a line about anything at varmintspodcast@gmail.com! We might even read your email on the show. Additional image of groundhog is in the Public Domain.